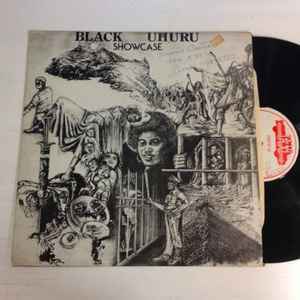 An album containing some of Black Uhuru's early singles in a showcase format. Originally released as 'Showcase' in 1979 - it was also later reissued with an additional song under the titles 'Black Uhuru' and 'Guess Who's Coming To Dinner' by labels in Europe and the USA respectively. Does this LP sound any different from the Us release? My copy of this (Virgin VX 1004) has on the spine of the sleeve "Vital Selection" at top, "Black Uhuru" in middle and "VX 1004" at base. Discogs entry for Black Uhuru - Vital Selection seems to be identical (and more complete) in all details apart from release date of 1979 and not 1980. Back sleeve has (P)1979 but centre discs have (P)1980. Are these actually the same record?